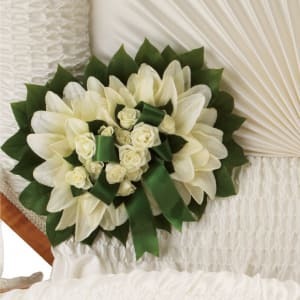 • This beautiful bouquet includes white spray roses, white asiatic lilies, and framed with fresh salal. 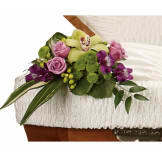 • Casket pillows are traditionally sent by immediate family members. 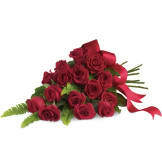 • Delivered directly to the funeral home and placed inside the casket. • Measures approximately 13" W X 10" H.